OUR MISSION IS to help others experience the benefits of a fit and healthy lifestyle while maintaining balance in all aspects of life. 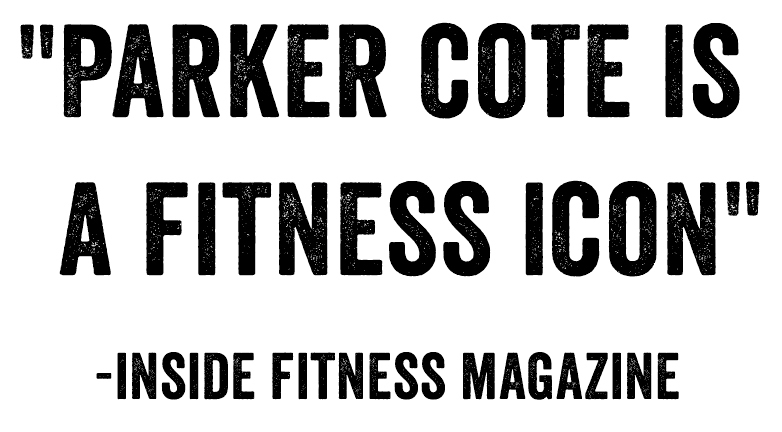 Parker is a trainer and the owner of Parker Cote Elite Fitness, an award-winning personal training studio located on Boston’s Newbury Street. 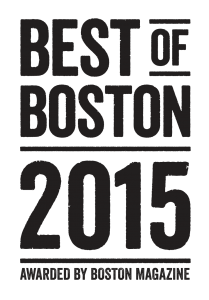 The studio was named “Best Personal Training Studio in Boston” by Boston Magazine (July 2015). He has been featured in multiple national ad campaigns as an example of one of the ISSA’s Best Trainers. Parker believes discipline and dedication are keys to success, but emphasizes balance in his own workout and diet regimen and those of his clients. 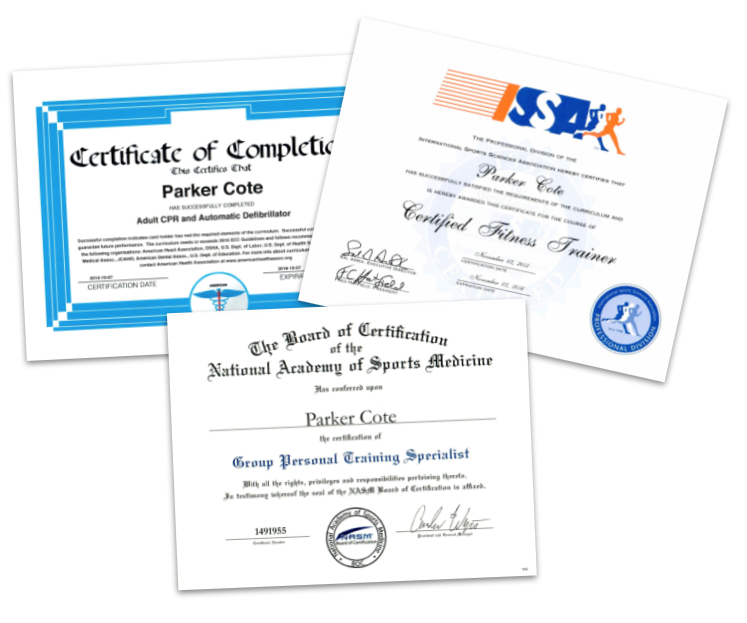 Parker is a top-certified personal trainer with the International Sports Sciences Association (ISSA) and the National Academy of Sports Medicine (NASM) and has helped countless clients transform their bodies and live healthier, happier lifestyles. Parker’s passion for fitness began at the age of 15. After a rough day at school, his older brother brought him to the gym for a workout to help get his mind off things. He instantly fell in love with training and from that day forward, Parker educated himself and gained a sound knowledge of health and fitness. He transformed his body from a skinny, shy, 145 lb. teenager to a 190 lb. top fitness model. In high school, Parker excelled in sports as a champion wrestler in the New England Prep School circuit. He also played baseball, helping lead his team to a state championship title. In college he actively pursued a career as a fitness model. 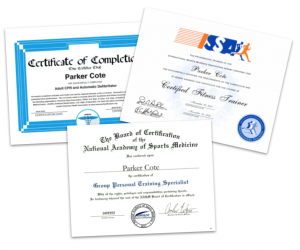 Parker has been featured in over 300 national and international magazines including People Magazine, GQ, Men’s Health, ESPN The Magazine, Maxim, Cosmopolitan and Men’s Fitness. He was first runner-up for Fitness Model International’s prestigious “Male Model of the Year” Award in 2011. He has modeled for brands like P90X, Reebok, Puma, Brookstone and Zipcar. 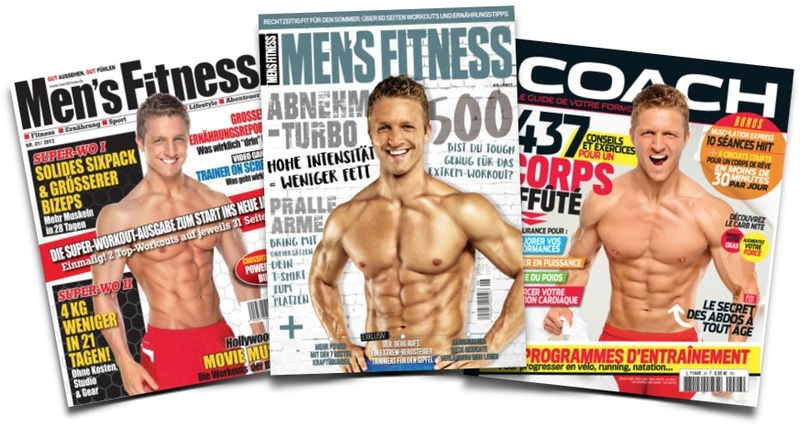 In addition to fitness modeling, Parker has written for dozens of publications internationally, and is one of Men’s Fitness Magazine’s fitness experts. Cosmopolitan Magazine named Parker the “Bachelor of the Year” for the state of Massachusetts, landing him a spot on their annual list of the nation’s hottest bachelors. He won the “Best Abs” Award out of 52 bachelors on the Wake Up with Taylor show on Cosmo Radio. He has appeared on TV shows such as the Today Show with Kathie Lee and Hoda, The Insider and Scrubs. On Bodybuilding.com’s social network BodySpace, Parker holds the top 10 most-viewed male profile of all time out of ~15 million members worldwide. Parker has appeared in several national ad campaigns for Bodybuilding.com, one of which was an award-winning campaign alongside the industry’s top female fitness model, Jamie Eason. Parker has recently expanded to commercial work, an NFL commercial with Tom Brady, and in a photo shoot with actor Mark Wahlberg for the poster of the feature film Ted.